Liberty Cap is a granite dome in Yosemite National Park. 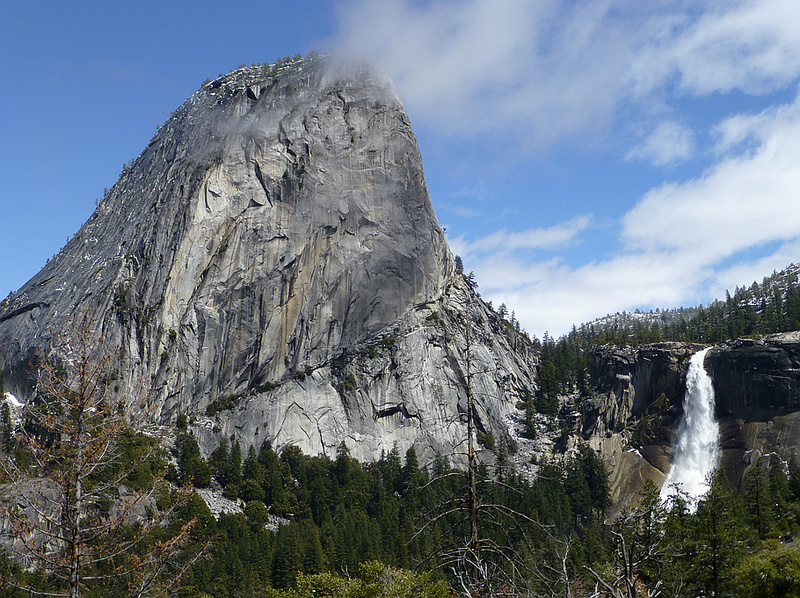 Lies next to Nevada Fall on the John Muir Trail. It rises 956 feet from the base of Nevada Fall. A smaller, mesa-like dome called Mount Broderick stands immediately adjacent to Liberty Cap.